Our guide the ultimate 48 hour trip to Rotorua. From cultural encounters with fierce Haka-dancing warriors to adrenaline-pumping trips across the waters of Lake Rotorua, let this itinerary help you reveal all the wonders of North Island's volcanic town. Kick-start your journey to Rotorua with an immersive experience of the mystical Maori cultures of North Island. The home of the Ngati Wahiao and Tuhourangi peoples sits just to the south of the town centre, so you'll be able to get here nice and early. Both Whakarewarewa - The Living Maori Village and Te Puia are set over the bubbling mud pits and steaming hot springs of a geothermal valley, showcasing the curious culinary practices of earth cooking and live maori cultural shows from New Zealand's native folk.. 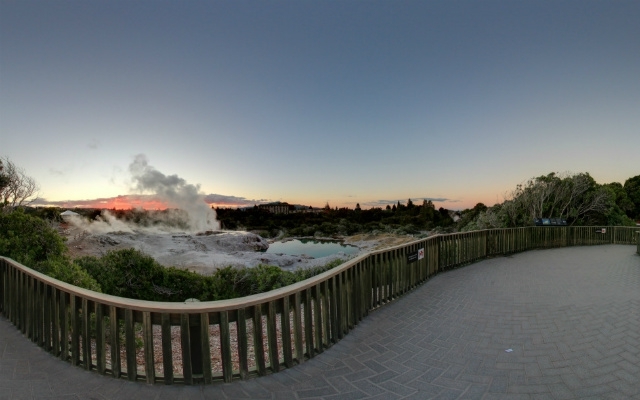 This volcano-powered area is considered sacred to the Maori with the attractions offering stunning views of the spurting Pohutu Geyser, which erupts more than 20 times each day! After a morning of steamy geysers and boiling hot springs, the breezy al fresco garden of Lime Caffeteria offers the perfect lunchtime respite. It's located just a stone's throw from the edge of the Rotorua lakeside, which is perfect for the next activity (more on that later though). In the meantime, it’s all about settling in for a long meal of hearty Kiwi favorites and interesting international dishes. Expect a menu that mixes smoked chicken ciabattas with Cajun-infused beef salads and steak-packed breads in pinot noir chutney. Nice. The afternoon of your first day in Rotorua can be as adrenaline-pumping as you want it to be. Those pining for something to get the blood flowing can opt for an excursion on the Kawarau Jet. This speedy dual-engine boat will whizz you across the waters, hair-pinning back and forth as it flits past Mokoia Island and the steaming bubbles of Sulphur Bay. Alternatively, you could go for something a little more relaxing. 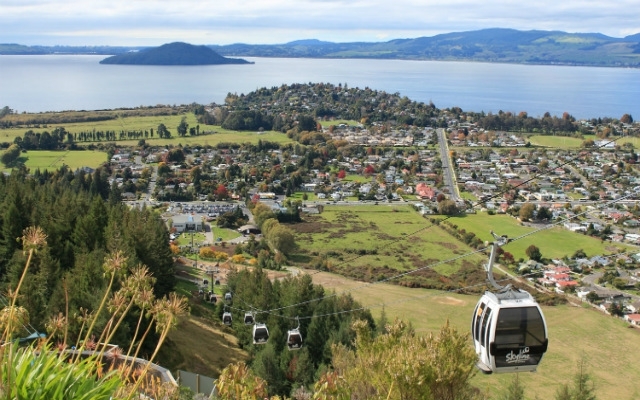 Cue the refined Lakeland Queen, which purrs slowly over Rotorua's waters, offering panoramic views across to the soft hills of the Bay of Plenty as it goes. 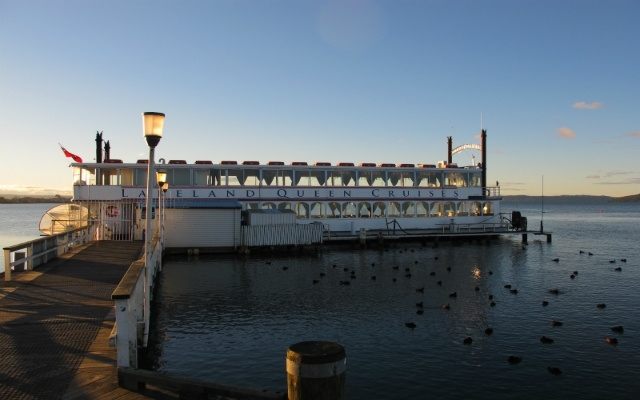 On board, you'll get complimentary tea, coffee and cakes, and an open-air deck for taking in the fresh breezes. No matter if you're craving cumin-scented Indian pakoras or cushiony Neapolitan pizzas, the multi-faceted food venue that is Eat Street has you covered. 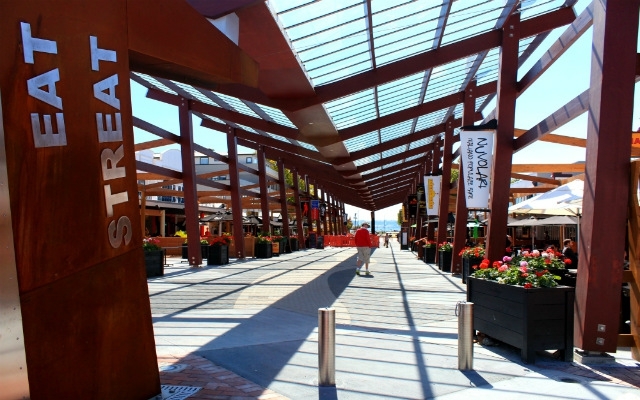 Located at the very end of bustling Tutanekai, it's Rotorua's all-in-one food court, complete with international restaurants, local ice-cream parlours and independent craft breweries. If the weather's good, be sure to settle in the al fresco eating area with the locals. After an early dinner, make for the looming redwood forests east of town. Here, swinging rope bridges and timber platforms pierce high into the canopies. 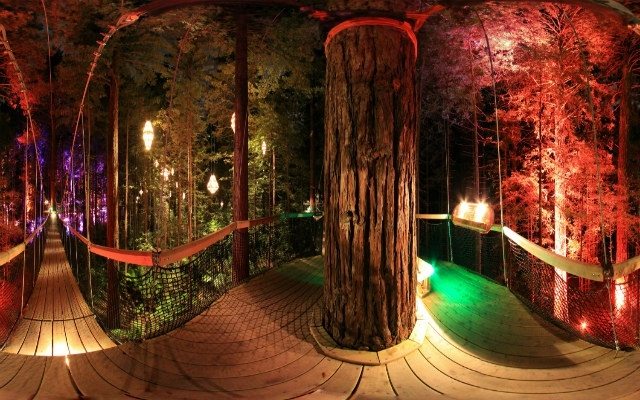 Known as the Redwoods Treewalk, this top attraction is now open late, offering awesome views of the 'Redwoods' lit up by the evening lights by renowned designer, David Trubridge. You might even catch glimpses of rare native birds between the 110-year-old forest and the neon-lit mistletoe boughs. Day 2 begins with a spot of rest and relaxation at the acclaimed Polynesian Spa. Sooth those muscles between the 28 individual pools and hot springs that bubble up just meters from the lakeside, each offering their own unique mineral properties and healing potential. Calm and quietude abounds in the Adult Spa and Priest Spring, where alkaline and acidic bathing meets ancient reflexology techniques. Or, head for the Family Spa, which has something to busy the whole group! There's also on-site massage services and mud-based body scrubs for a deeper clean. Cross the city after your soothing spa session and delve into the wild forests that ring Rotorua Lake. This is the beautiful and wild setting for the Agrodome, Agroadventures and Rainbow Springs amusement parks. Each offers something different. Families with younger kids will love the latter, which has up-close encounters with the curious Kiwi bird and regular shows of NZ's more exotic fliers. Meanwhile, the Agrodome has exciting backcountry tours of a working farm. You'll ride a rumbling quadbike over the muddy fields, meeting llamas and lanky ostriches as you go. Finally, the Agroadventures is for the most daring of all – think bungee descents and freefall training on air machines! Lunchtime takes you high above the town and the beautiful hills of the Bay of Plenty. You'll ride the iconic Skyline Gondola to the ridges and settle in the charming Market Kitchen. After a lunch with a view, dining on everything from spicy Indian tandoori to local Kiwi surf and turf, it's time to enjoy all the other attractions on offer here. That means high-speed luge runs that weave through the forests and to the base of the lift. It means heart-thumping trips on the gravity-defying Skyswing. Or, it means refined tasting sessions in the Volcanic Hills Winery. Day 2's afternoon is all about making the most of Rotorua's beautiful and wild location in the midst of North Island. You could opt to hit the roaring whites of the Rangitaiki River and bounce down the Aniwhenua Falls on an inflatable rafting excursion. 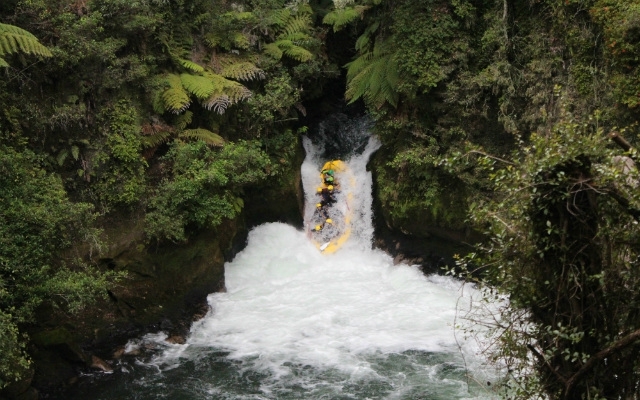 Or, you can push the boundaries on the grade 5 rapids of the Wairoa River – think huge boulders and cascading cataracts aplenty. Or, you could stay dry and go to the treetops, choosing a session with Rotorua Canopy Tours and their speedy ziplines through the redwoods. It's up to you! The end of our awesome Rotorua itinerary brings us full circle and immerses travelers in the mystical traditions of the native Maori folk. A visit to the Tamaki Maori Village means an encounter with the fierce warriors of the tribal peoples of NZ. It means braving the wild Haka dance and tasting age-old hangi meals cooked in the geothermal warmth of North Island itself. Come, dine, relax and be taken on a cultural odyssey through centuries gone by! Of course, there's loads more to do in Rotorua, and you can forge an itinerary to really suit your own desires. 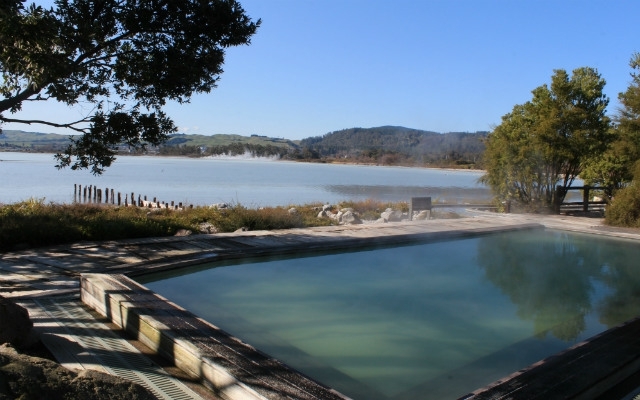 What will you do in North Island's bubbling volcano town by the lake?